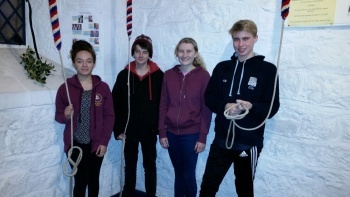 An hour of call changes by a band of five ringers under 16years old, with two adults sharing the ringing of bell 5 to make up the band. Rung as part of peal for pudsey campaign and raised around £300 in sponsorship between them for Children in Need. Last updated Friday, 17 November 2017 at 23:35:30. First submitted Friday, 17 November 2017 at 23:12:18 by Diane J Awkati.